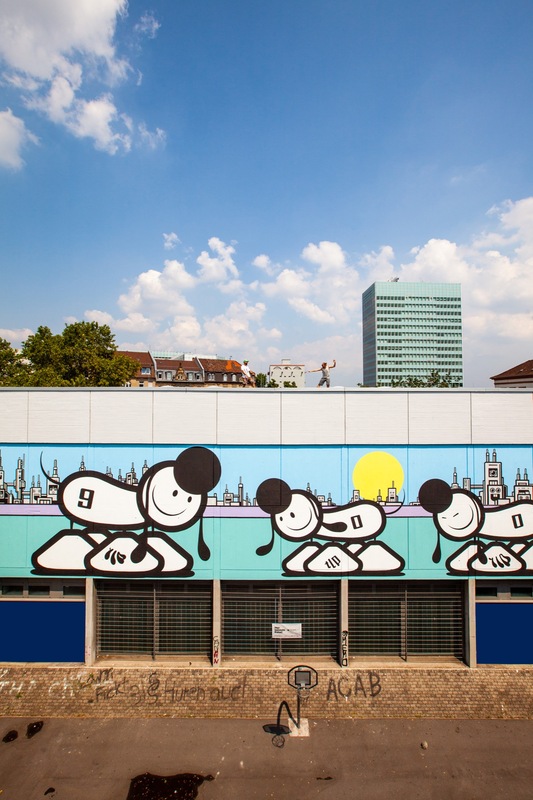 Whoop, whoop …Mannheim has a new mural and THE LONDON POLICE have taken STADT.WAND.KUNST (SWK) literally. 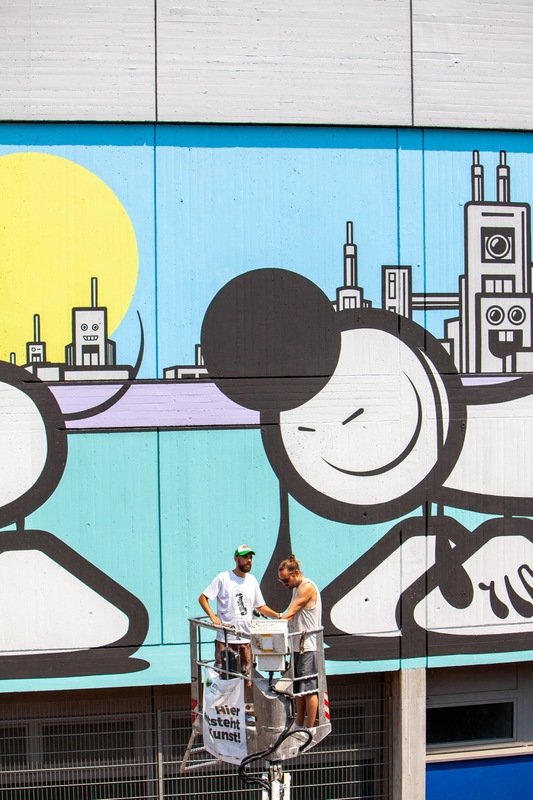 The finished mural shows a city scenery in the unmistakable, comic style of the Amsterdam artist collective. A great, great work that the oldschoolers of the street art scene delivered on their return to the schoolyard – not only because of the square meter area of the picture! 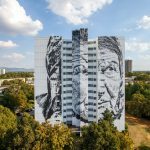 After 1010 and WAONE had already contributed large-format masterpieces to this year’s STADT.WAND.KUNST events in recent weeks, it was THE LONDON POLICE’s turn in recent days to add a large piece of urban painting to Mannheim’s cityscape. Her very graphic work now adorns a School’s yard in downtown Mannheim. In the background, it shows an urban skyline of figurative buildings with many details that invite you to discover. At the centre of the picture are three LADS characters in the classic style of THE LONDON POLICE, the cheerful family of dogs, smiling at the viewer in front of the bright sun. 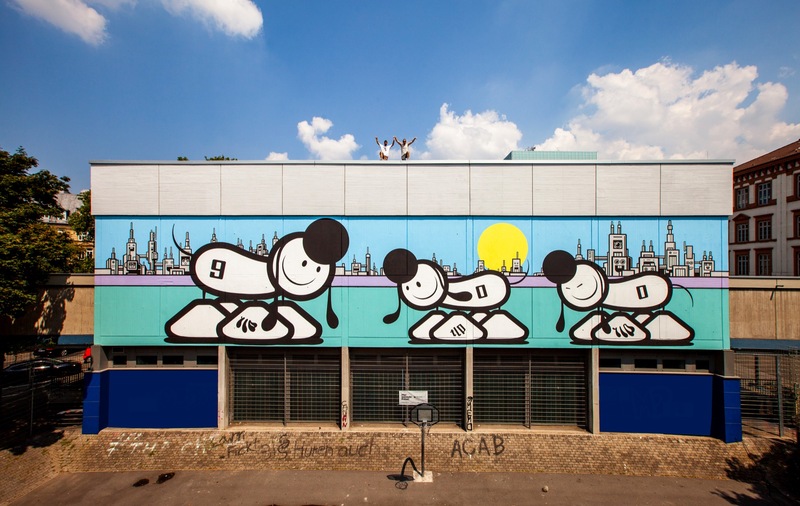 THE LONDON POLICE’s first works appeared in 1998 in Amsterdam and since then her murals, drawings and stickers can be found in more than 35 countries – now finally also in Mannheim. 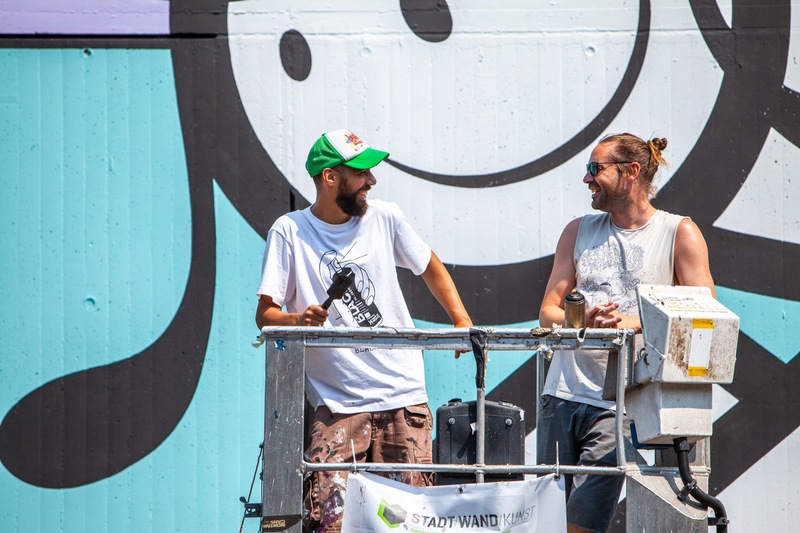 For their current mural, the two founding members Chaz Barrisson and Bob Gibson travelled to the Neckar to complete their painting for STADT.WAND.KUNST over a period of one week. Supported by TLP members Chinny Bond and Douglas Chasmer the work was done under full sun, as shown in her mural. 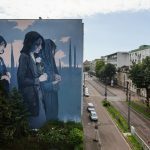 With their work, the two not only contributed another highlight of urban art to Mannheim’s open-air gallery, but with their participation also a formative piece of street art history. The picture of THE LONDON POLICE for STADT.WAND.KUNST 2018 can now be viewed for free and outside in K6.